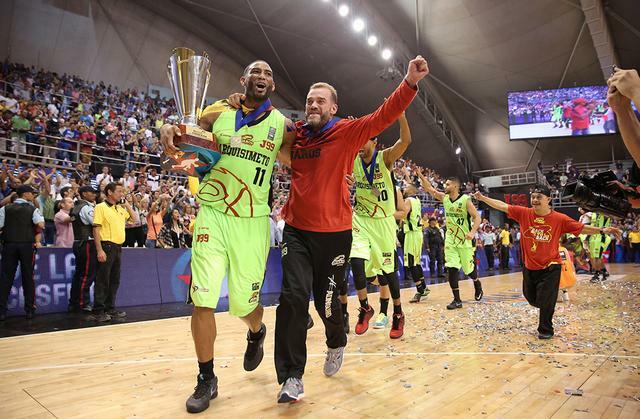 #Final4 - Guaros is the DIRECTV Liga de las Americas Champion! BARQUISIMETO (Liga de las Americas) - Guaros de Lara made history. Nestor Garcia's team defeated Bauru, 84-79, to be crowned Champion of the 2016 DIRECTV Liga de las Americas, for the first time in its history. Turning Point: Both teams played strong throughout the match. Halfway through the last quarter, Guaros took a 4-point lead (70-66), thanks to annotations from Belthelmy, Wilkins and Taylor. But Baurú, despite the limitations they had on the team, remained in play with Murilo, Sena and Jefferson. In the end it was all for the Venezuelan team, who with a good defense, ran the court well and hurt from all sectors of the field. Stats don’t lie: Nestor Garcia's team dominated the external game, with 53% in triples. Baurú scored only 29% in triples. Game Hero: Damien Wilkins was elected the MVP of the final. He had 20 points, 3 rebounds and 2 assists. The Bottom Line: Guaros is the new champion of America. The team coached by Argentine Nestor Garcia, defeated Bauru, 84-79, to win the continental league, for the first time in its history.